BVLGARI celebrates its 10th anniversary of the Hong Kong Flagship store opened in Central to mark the significant milestone in bringing its unique blend of Italian excellence and unique design to a discerning international clientele and hosted a full day of celebration to mark the re-launch of its elegant Chater House boutique. 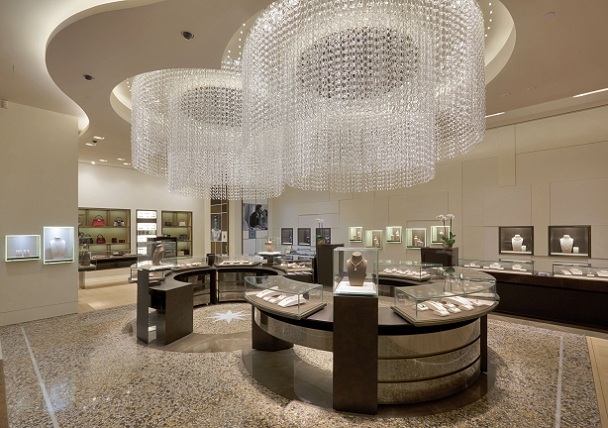 Just as every Bulgari creation is inspired by the spirit of excellence, so it is with the stores that display them. The re-launch is the culmination of a two-year-long project with a profound study of the brand’s storied legacy as its starting point. As a result, the new revamped flagship makes a bold statement about the brand’s status in Hong Kong. From the Murano crystal chandelier conceived by Angelo Mangiarotti to the hand-crafted Venetian plaster which adorns its interior, the flagship store now encompasses numerous familiar Bulgari signature motifs. A prominent example is the Veneziana marble flooring featuring the same onyx star design that was part of the original flooring inside the first Bulgari store opened in Rome in 1905. Further enriching the shopping experience, a truly personal touch is provided by the exclusive VIP area where diamonds and other precious stones can be viewed in total privacy. 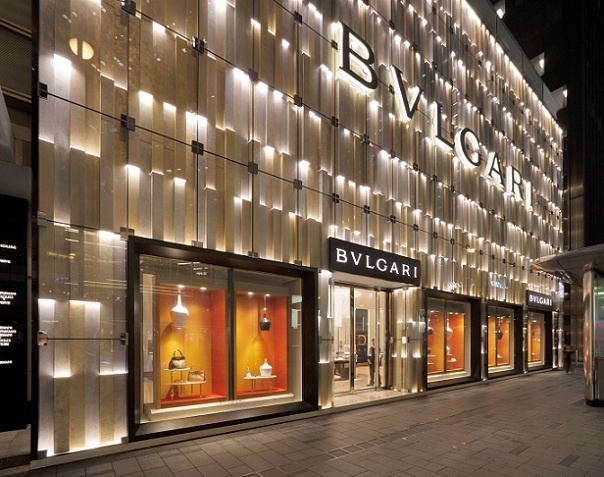 With lights strategically located at the top and bottom of four layers of gold, the 24 metres store frontage proclaims the unmistakable “BVLGARI” bronze logo in unparalleled splendour. Remaining true to the brand’s reputation for glamour and beauty, this stunning redesign is a perfect reflection of the brand’s allure and prestige. On an afternoon perfect for celebrating, the newly revamped store was officially inaugurated with a ribbon cutting ceremony presided over by Mr Francesco Trapani, President of LVMH Watch and Jewellery Division and acclaimed stars, Mr. Cha Seoung Won from Korea and Ms. Michele Reis from Hong Kong. Also on display was Bvlgari’s new High Jewellery Collection, an array of exquisite pieces created from drawings specially commissioned for exceptionally fine gemstones. 60 new pieces from the collection were exhibited at the opening together with the Jade Serpenti, a one-of-a-kind necklace in white gold, finished with jade and diamonds, which was also making its international debut. Hollywood celebrities Hilary Swank and Adrien Brody also current Bvlgari brand ambassador and Donnie Yen appeared for a special lighting ceremony which created stunning aurora-like waves across the entire boutique facade against the twilight of the evening, boldly proclaiming the brand’s dominant position in the world of exquisite jewellery. A Gala dinner was followed at the Hong Kong Maritime Museum, Central Ferry Pier 8 where a memory lane tunnel of Bvlgari’s Hall of Fame was built for the after party area with a special performance by Gena West, renowned jazz and gospel singer from the UK partied till late.